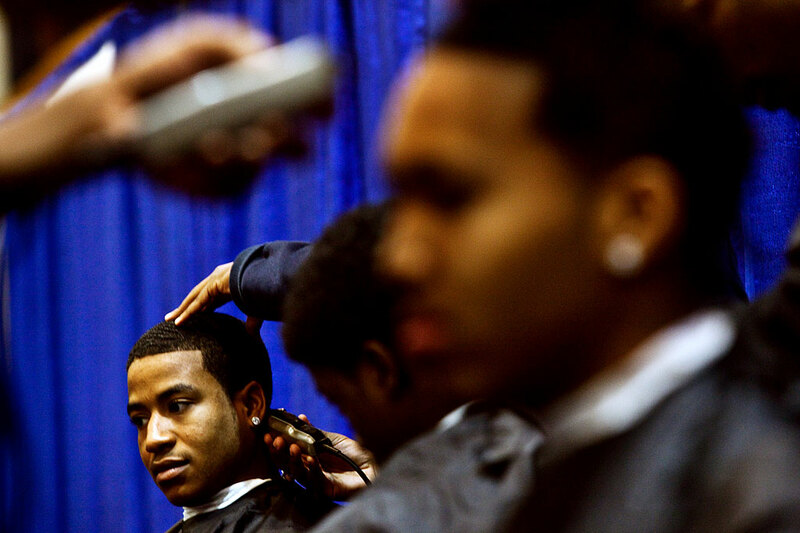 February 24, 2012 – (left) Terrance Lee of Overton High School receives a haircut during a demonstration by The Barber School at the 4th Annual Career & College Expo led by Memphis City Schools. Over 6,000 youth explored employment options, develop career-readiness skills, and discuss post-secondary education opportunities. (Kyle Kurlick/Special to The Commercial Appeal).